Procter & Gamble was established in the year 1989 in India. 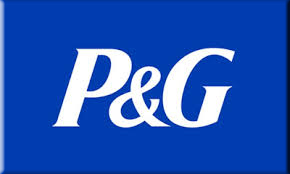 P&G serves to be the world's largest consumer goods company with annual sales which had crossed $1billion. A Fortune 25 company, P&G is one of the fastest growing FMCG Companies with a wide range of products in the Healthcare, HairCare, Laundry, Feminine Hygiene, Skin Care and Personal Care categories. P&G had delivered tremendous organic growth for 8 consecutive years and continues to win Indian consumers by bringing in propositions that delight them. In the last 3 years, P&G has entered more than 7 new categories via a combination of brand launches and acquisition. In multiple categories where P&G is present, it's leading Number one in Babycare (PAMPERS), Femcare (WHISPER), Healthcare (VICKS), Anti-Ageing Skincare (OLAY), Aircare (Ambi-pur), and Blades and Razors (Gillette). In Supply Network Operations at P&G, they are uniquely positioned to see the Supply Chain from end-to-end - starting with the raw materials through the touch point of best brands with shoppers in the market. One can start the career in one of 15 different diverse work areas within P&G that comprise organisations end-to-end operation - plan the demand and/or supply into the market; work to create or execute the physical design of most the organisations supply networks around the world; serve as the vital daily interface with companies customers and suppliers; or lead the efforts to define and deliver new breakthroughs in value creation with these partners. P&G has become one of India's fastest growing Fast Moving Consumer Goods Companies that has in its portfolio P&G's Billion dollar brands such as Tide, Ariel, Pantene, Whisper, Pampers, Head & Shoulders, and leading brands such as Rejoice - Asia's No. 1 Shampoo, and Vicks - India's No. 1 OTC Brand. With a turnover of Rs. 1,000+ cr. and employee strength of 500, the organization has carved a reputation for delivering high quality products to meet the needs of consumers. P&G India has great pride in being consistently voted among India's Best Employers. Procter & Gamble is committed to making every day in the lives of its stakeholders better through the quality of its products and the sincerity of its service. Endorsed by Woolmark, ACE is gentle care for your most-loved fabrics and colors. The innovative which is handy closing cap and Active Oxygen formula have allowed customers to safely and easily remove tough stains and bring brightness to their clothing for years. Ariel first appeared in the UK market in 1968 as the only laundry detergent with stain-removing enzymes. Its high-sudsing powder designed for twin-tub and top-loading washing machines yielded immediate success. Febreze is an innovative household odor eliminator first introduced in test markets in 1993. Sold in the U.S. since June 1998, the line has since branched out to include air fresheners (Air Effects), fabric refreshers, plug-in oils, scented disks, and odor eliminating candles. Gillette has a proud century-old history and is a worldwide leader in male grooming, a - category that includes blades, razors, shaving preparations, body wash and styling gels. After nearly a decade of research into a new dandruff control formula, Head & Shoulders was introduced to the world in 1961. According to one P&G researcher, "It looked like green wall paint and smelled horrible, but it performed well and proved very popular with consumers". For more than 50 years, Oral-B has been producing the highest-quality dental hygiene products for consumers and dental professionals. Oral-B mostly provides manual and power toothbrushes for children and adults, oral irrigators, oral care centers, and interdental products, such as dental floss. For all stages of development, Pampers has products to help little ones stay clean and comfortable. From diapers for babies to pants for toddlers, they have got it covered. Introduced in 1961, Pampers was created by Vic Mills, a P&G chemical engineer who was looking for an easier way to diaper his grandson. The result--Pampers was born. Pantene is a leader in the field of hair science, developing shampoos, conditioners, stylers and treatments utilizing state-of-the-art technology. The company's discoveries in the lab have enabled them to make advancements in hair health. Whether it's fighting frizz, boosting volume, or adding moisture for strength and smoothness, Pantene has a Pro-Vitamin formula that helps hair reach its potential. Tide was introduced in 1946 as the world's first heavy-duty detergent, and it outsold every other brand within weeks. It became so popular that store owners were forced to limit the quantity purchased per customer. In 2005, Tide Coldwater was introduced, allowing consumers to reduce energy bills by delivering deep cleaning in cold water. And today, all Tide liquids use recyclable packaging, and 2X Ultra Tide's concentrated formula has reduced plastic packaging by 43%, meaning less waste for the planet. Wella is a leading manufacturer of professional haircolor, care and styling products sold exclusively to hairdressers. Every ten seconds, a stylist somewhere in the world uses a Wella professional product. Founded in Germany in 1880, Wella is "the hair color authority" offering superior products, cutting-edge research and development, as well as comprehensive stylist education and salon business-building programs. Whisper has consistently led innovation in feminine protection with: The unique DriWeave top sheet that prevents the feeling of wetness, thus providing women with cleaner, drier protection, Wings that help the napkin stay in place and not shift despite physical activity and India's first and revolutionary Ultra-thin sanitary napkin thus improving the lives of millions of women along the way.